SEATTLE — World Humanitarian Data and Trends 2018 spotlights major trends, causes and developments of humanitarian crises. This report details case studies on conflict, protracted crises, attacks on health care and education, water and the strengthening of local action via country-based pooled funds. Protracted crises are multiplying and increasing in duration. According to the United Nations Office for the Coordination of Humanitarian Affairs (UNOCHA), between 2005 and 2017 the length of crises with an interagency need increased from four to seven years. The number of crises receiving international aid rose from 16 to 30. UNOCHA detailed that the majority of people affected receive assistance for more than five years, and appeals for crises lasting five years or more have risen dramatically. These appeals dominate most of the funding. These statistics reflect the need for closer collaboration between humanitarian and development participants to decrease long-term vulnerability. In response, UNOCHA launched Humanitarian InSight and Global Humanitarian Overview 2019, or GHO 2019. Recently launched Humanitarian InSight is a web-based portal that connects data and information from coordination processes to leadership who relies on it for planning. This portal gives anyone access to publicly available information pertaining to needs, response, funding and gaps. It is innovative and intuitive and allows for greater transparency and accountability. It also exhibits collective accomplishments in coordinated humanitarian response. The portal allows for more frequent reporting, data sharing, monitoring and analysis. Launched in December 2018, GHO 2019 is the most complete evidence-based assessment of global humanitarian needs priorities and their appropriate responses. Despite generous financial contributions to interagency-coordinated response plans, needs annually exceed resources. An accurate assessment of needs and responses is the only way for GHO to prioritize and efficiently allocate resources. Humanitarian Needs Overviews (HNOs) and Humanitarian Response Plans (HRPs) are the bases for the comprehensive approach to humanitarian relief efforts in developing countries and conflict-stricken nations. HNOs deliver the best information on humanitarian needs through data analyses of field surveys, interviews with affected persons, secondary data and meetings with country-based humanitarian organizations. HRPs are the outcomes of HNOs and they present comprehensive response priorities that include current budgets and plans for forecasted needs. This groundwork for the GHO, and subsequently Humanitarian InSight, is a collaborative effort resulting in an intersectoral approach to international humanitarian aid. Afghanistan and Yemen are two of the countries benefiting from a GHO 2019 building block. In addition to coping with terrorism and airstrikes, Afghanistan is prone to natural disasters. Decades of conflict and environmental deterioration have led to high death tolls, refugees, displacement and returnees. Inadequate investment in strategies to mitigate disaster risks have given way to poor infrastructure and vulnerability to harvests and livelihoods resulting in persistent poverty and despair. According to the Swedish International Development Cooperation Agency (SIDA), conflict is causing many Afghan provinces to experience humanitarian access constraints and high levels of new IDPs. 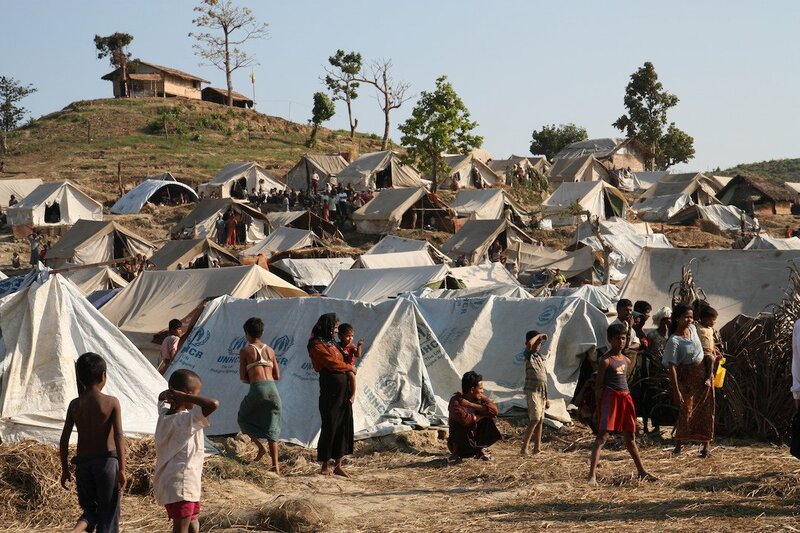 Without proper intervention, vulnerable regions have no chance for humanitarian relief. To overcome these obstacles, in 2018, country-wide assessments managed by humanitarian agencies determined the needs and trends of Afghanistan. Sector-specific evaluations accompanied these assessments. The HNO team used feedback collected from a humanitarian call center to compare their own assessments against the concerns expressed by Afghanis. Such an approach paves the way for 2019’s development plans. This information is part of Humanitarian InSight and is shared with leaders who depend on it for improvement efforts. As stated by SIDA, Yemen has been continuously subjected to multiple armed conflicts and other violent situations. Prior to the crisis, nearly half of the population already lived in poverty, had high unemployment rates, and basic social services were verging on collapse. International humanitarian law (IHL) and human rights law violations are widespread. Historical food insecurity and lack of water access, malnutrition, sanitation and substandard healthcare continue to plague the country. According to SIDA, more than 12 million Yemenis need assistance to protect their safety or basic rights. Millions of IDPs and returnees remain displaced. Yet, despite the current conflict, Yemen remains a major transit route for asylum seekers. Humanitarian access restrictions persist in many parts of Yemen. The escalating security issues have exacerbated restrictions on the transportation of people and humanitarian goods, plunging Yemen into one of the world’s most dire famines. The 2019 HNO for the Yemen crisis is based on a highly detailed dataset entailing humanitarian agencies’ nationwide multi-sector assessment. It spans all districts and includes sectoral assessments. Teams conducted interviews with more than 8,000 households with the goal of understanding people’s essential needs. This information is included in Humanitarian InSight and Global Humanitarian Overview 2019 and is intended to improve the coordinated humanitarian response. Data available within Humanitarian InSight and Global Humanitarian Overview 2019 will improve the coordination efforts to impacted populations. However, according to Under-Secretary-General for Humanitarian Affairs and Emergency Relief Coordinator, one of UNOCHA’s greatest obstacles is the systematic reporting on collective results and achievements. Commitment to the meticulous monitoring of changes in HNOs and interventions results are needed for success. So far Nigeria, Burundi, Somalia, Niger and oPt (occupied Palestinian Territory) have used Humanitarian InSight to report vital statistics. Such information relates to financial tracking, response planning and monitoring, project recording and reviewing. It is only a matter of time before other countries employ Humanitarian InSight and Global Humanitarian Overview 2019 is fully exploited.